Let the record show, I am crying while writing this. 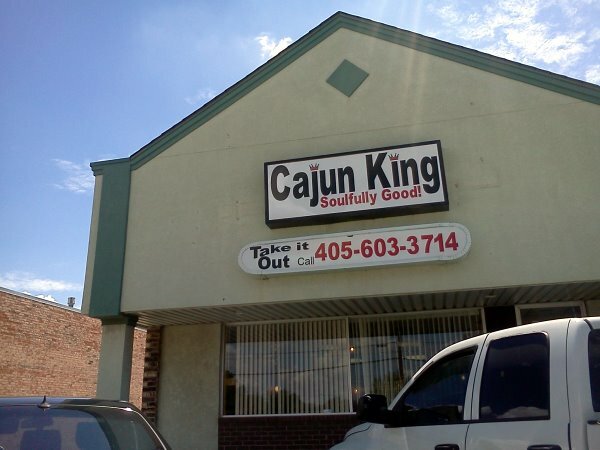 Cajun King is becoming an Oklahoma city legend, but for those of us with mobility issues, it's an Epic Fail. Totally inaccessible restroom. Epic Fail. 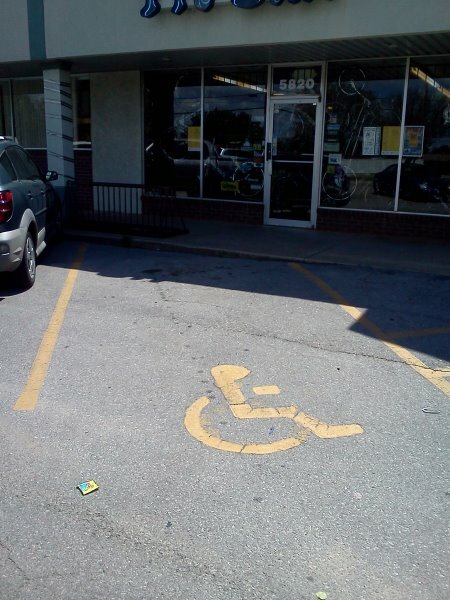 There is ONE Disabled Parking spot in front of the strip mall. It is not marked with a sign post. 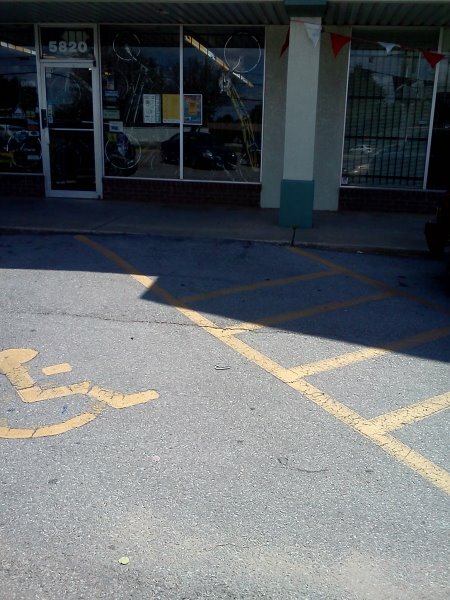 And there is a loading zone and a ramp. The ramp has become somewhat dislodged from the sidewalk. 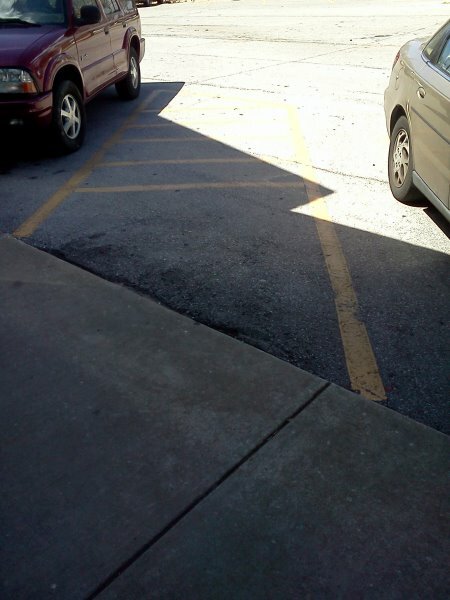 The loading zone is on the right of the Disabled Parking space, so I could barely get out of and into my car. The front door was barely manageable and immediately inside the pathway was obstructed by magazine racks, one of which scratched me while trying to move around it. You pay in advance at a counter that was low enough to sign on. But just barely. The receipt must have been in 3 point type so it was hard to read and sign. I should have let my son pay. Inside there are plenty of tables and all were accessible. There was a second dining area with a couple of booths and more tables and there was a short ramp up. Too steep but it's short and one easy push could get you up. Everybody goes there for the catfish and that is served fresh from the fryer to your table. And it keeps coming. So it is possible to enjoy the catfish without going through the buffet. 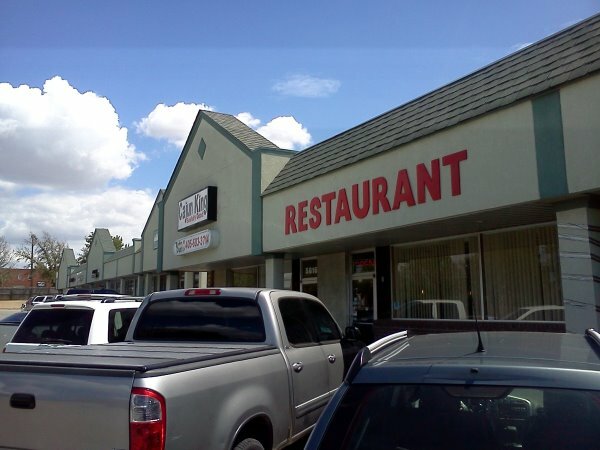 Oh, did I mention, this is a buffet place. 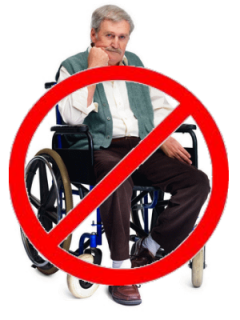 In a power chair you can manage the buffet line. 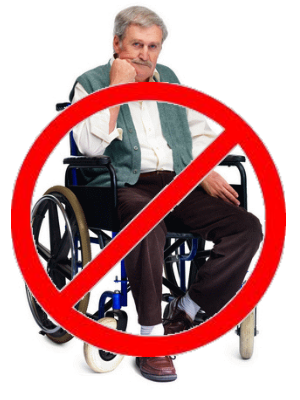 In a wheelchair, you need help. There is a clear path to the restrooms but.... There is a narrow hallway that ends at the men's room. There is a huge room divider that divides the hallway and something else. 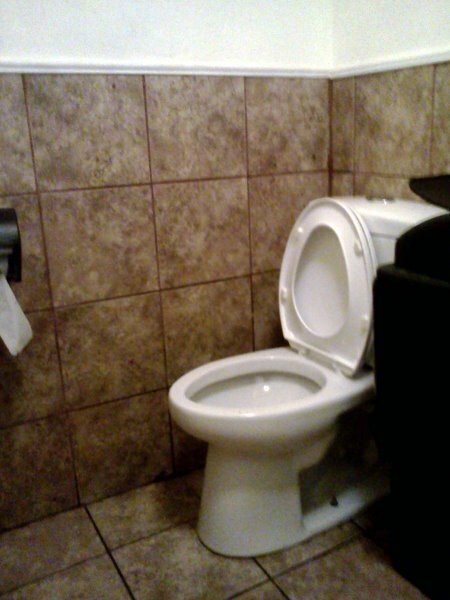 But the placement of the divider makes it impossible to turn into the restroom. I had no choice but to back out of that long hallway. My son went in to snap some pictures. 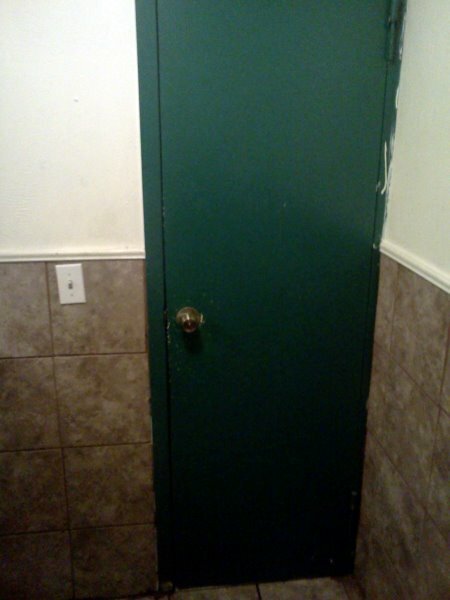 The restroom door is 30" wide and there are no grab rails. None. It's just your average men's john. Even if I had been able to maneuver in the hallway to be able to fact the door head on, my chair was wider than the door. So I guess the moral of this story is, if you must go to this place, don't drink anything and be sure to follow your mom's advice and "Go before you go". You can order the catfish to go. Do so.